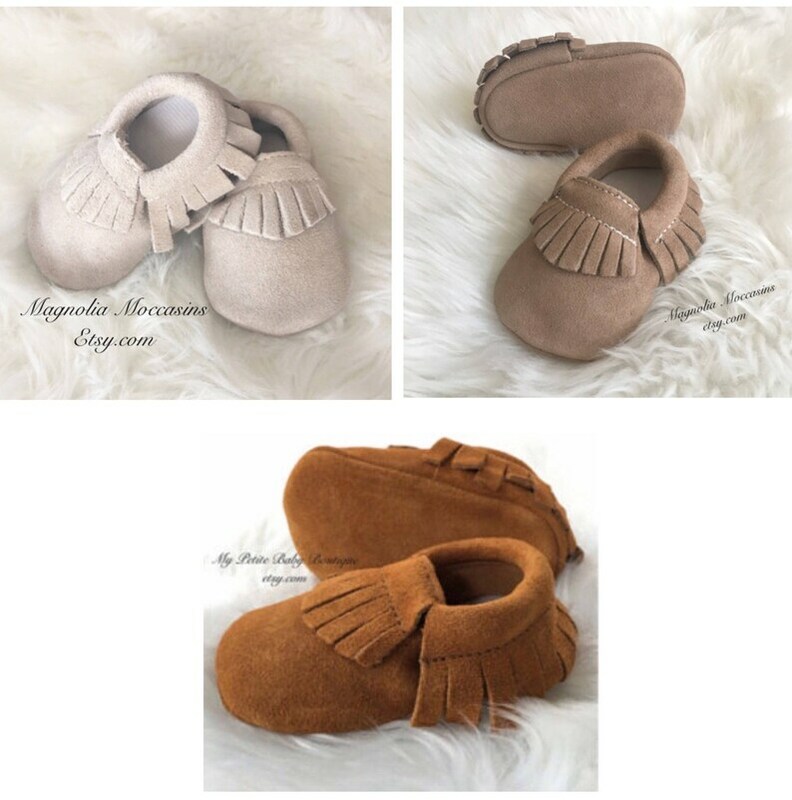 Baby Shoes: these soft sole moccasins are made of the highest quality, 100% genuine suede leather moccasins and they are sure to dress up any outfit and are so comfortable for your child to wear!! These moccasins have elastic at the opening so they are easy to put on, easy to take off, and most importantly: stay on your child’s foot. Moccasins are great shoes for little one’s who are learning how to walk! The soft soles allow their little toes to grip and feel the floor, strengthening their growing foot muscles. *** Please note: The fringes on the moccasins may be a little wrinkled from shipping but can be fixed with a little TLC. ***** If you're unsure of the size, please measure the length your darling child's sweet lil' foot before ordering. Great quality and exactly as pictured! These are a gift, and I know that the Mom to be will be thrilled. The moccasins were shipped right away. If you would like to have your moccasins wrapped or have a note included I am more than happy to do that. Please leave the information in the comment section when placing the order.